Chill with Phil! Titanfall anyone? Video Game Clubhouse: A good 'Games for Gold' game!? The Gentlemen's Club! The last one... for the year!? Chill with Phil! I managed to get an Xbox One, let's go! The Gentlemen's Club! We are ruining our friendship live! Chill with Phil! We are starting Metal Gear Solid 2! The Gentlemen's Club! Deadly Premonition giveaway! Chill with Phil! Can we finish Metal Gear Solid tonight? Chill with Phil: Annual Metal Gear Series Playthrough! Chill with Phil! Grand Theft Auto Online with you! That guy who plays all the games? Yeah, that's me. 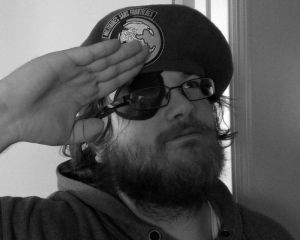 I am also a live show host on Destructoid's Twitch.TV channel, as well as lover of all things pertaining to video games, beards and sizable behinds.